How Often Should You Clean a Septic Tank? 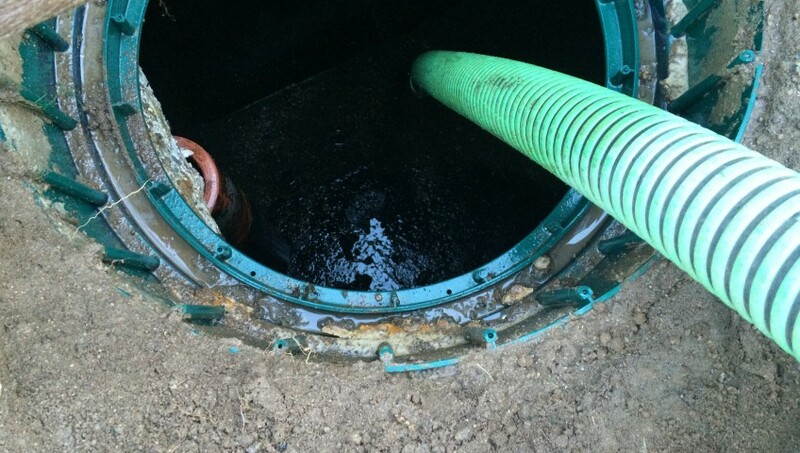 Septic tank cleaning should be preformed on time to prevent overfilling. If you have not faced any serious issues so far, it doesn’t mean that the tank should not be maintained on a periodic basis. And when it comes to cleaning a septic tank, it is important to ensure that it involves much more than pumping out the liquids. The cleaning service should also remove all the solid materials that build up at the bottom. Timely cleaning can help ensure that the sludge buildup is removed quickly and there are no hassles. As a homeowner, you should have a set schedule for septic tank cleaning so that there is no overflowing and buildup of stubborn sludge. Septic tank cleaning should be preformed every 3 to 5 years. This is for systems that do not have a garbage disposal. There are factors that can affect when the cleaning process should begin, like the number of people living in your home and the usage. If you are living alone, the septic system may not require cleaning for more than five years. However, if you have a large family and many bathrooms, you may have to get the tank cleaned every two years. If the system has a garbage disposal, the recommended septic tank cleaning is one year. Garbage Disposal: If the food-waste grinder or garbage disposer is connected to the septic system, the cleaning frequency increases significantly. Water Conditioners: Using water softeners or other conditioners often can also increase the frequency. The use of such compounds has an impact on the bacteria present in the tank. Sewage Ejector Pump: If you have a sewage ejector pump connected to the septic tank, it can mean grounded solid sewage can float and enter the drain field. This will further require more frequent cleaning and pumping out. Home Business: If you have a home business that involves water use, it can also affect septic tank cleaning. Photography and other home businesses can involve the release of chemical-laden water into the system. This can further have a negative impact on bacterial composition. Many other factors can have an impact on the frequency. For example, if you happen to have large groups of guests visiting you often, the tank is going to get filled faster. Your laundry use is also a factor with significant impact. You should also consider the number of bedrooms you have and the septic tank’s size. Usually, septic tanks are chosen based on how many bedrooms a home has. A house with three bedrooms can do with a 1000-gallon tank. If you have up to 5 bedrooms, you may require a 1500-gallon tank. If you have an older home, it is highly likely there is a smaller tank. In that case septic tank cleaning will be more frequent. If you don’t know when the tank was last cleaned, you can have a septic tank cleaning service empty Diamond Septic Tank Cleaning and check it. This can help prevent sewage back-up and allow you to set a schedule. If your home has an occasional increase in septic tank usage, you shouldn’t stick to a fixed schedule. Often people consider average occupancy as the factor to decide septic tank cleaning how often. You should create a schedule after considering all the factors mentioned above. Keep track of your cleaning intervals and make changes to the schedule based on the involvement of the factors. A well-designed septic tank can handle sludge buildup for up to 3 years. Once the sludge level reaches a certain point, the sewage cannot settle properly. When the sludge level increases, the solid waste enters the soil. The soil can get clogged at a point when it can no longer absorb the liquid at the same rate as it is entering the tank. This is when a sewage backup can occur. When you hire a septic tank cleaning company, make sure they are licensed, bonded, and insured. Diamond Septic Tank Cleaning is fully-licensed to provide the services and will help you create the ideal schedule to ensure that you will not have any problems. The experienced professionals use the latest equipment and eco-friendly cleaning products. This helps ensure your tank will be cleaned right the first time, providing you a cost-effective service.